I’m sorry to report that the vegetable garden this year has been almost a total bust. Right after John and I got the garden planted, I had to go to Tennessee to help my mom get re-situated in her house after several months in rehab recovering from a broken hip. I was away from the garden the entire month of June, and when I got back it just didn’t look as vigorous as I’d hoped. It may have been the weather, which was cool and pleasant for the first part of the month and then soggy with rain in the second. It may have been that I wasn’t there to keep an eye out for stressed plants or bugs or whatever. More than likely, it was just the Will of the Garden Gods. But I’m blaming the deer. I’m accustomed to losing part of my garden to gray squirrels and chipmunks. There’s no way I can keep the little buggers out of my yard – I have oak trees, after all, and oak trees mean acorns, which scream “BUFFET!” to my rodent neighbors. But this was the first time I had to deal with deer. We’ve had ’em in the yard this past fall – pretty things, but they kept eating the hosta and our baby fruit trees. Then we had a long spell of not seeing them, and I assumed they’d moved out of the neighborhood. Silly me. I first realized my error when the fifteen lovely Italian green bean plants I’d put in were about four inches tall. I had come home from my show on a moonlit night and had stood for some time looking at the plants, thinking it was time to stake them. The very next morning I walked out the back door and discovered all but five of them had been bitten off short, with a lovely clear deer hoofprint to show just who the defiler was. They moved in on my tomatoes next, elbow to elbow with the squirrels and the chipmunks. Even my beloved birds got in on the act – I looked out my kitchen window one morning to see a Northern Flicker clinging to my Black Cherry, pecking one of the beautiful, just-short-of-ripe fruits. I scared it off and picked what I could (delicious – the bird had good taste), but it was a foreshadowing of things to come. I think I’ve gotten less than a dozen tomatoes off seven plants this year. Every morning I’d come out to find plants uprooted, bitten off and broken. I had a brief rush of lovely little cucumbers and baby patty-pan squash, and several big spaghetti squash ripening on the vine, but then the deer moved in on those, knocking the fruit down and taking big bites before rejecting the rest. Then some kind of wilt carried off all three plants, and that was that. The one bright spot in all this misery have been the collards. This was my first year planting collards, and I guess the deer don’t like them because they’ve left them alone, along with the brussels sprouts (which may change now that those plants are starting to put out buds). I finally got around to harvesting some collards a couple weeks ago. I knew I wouldn’t be able to eat them all, so I cast around on the interwebs for how to freeze ’em, and now I pass that on to you. 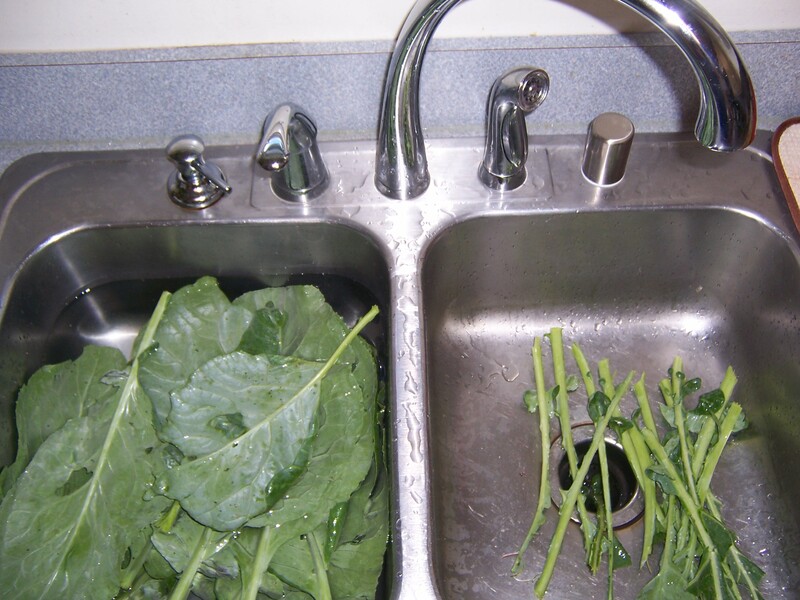 Advantages of a double sink: collards bathing on the left; stripped-out stems to the right. 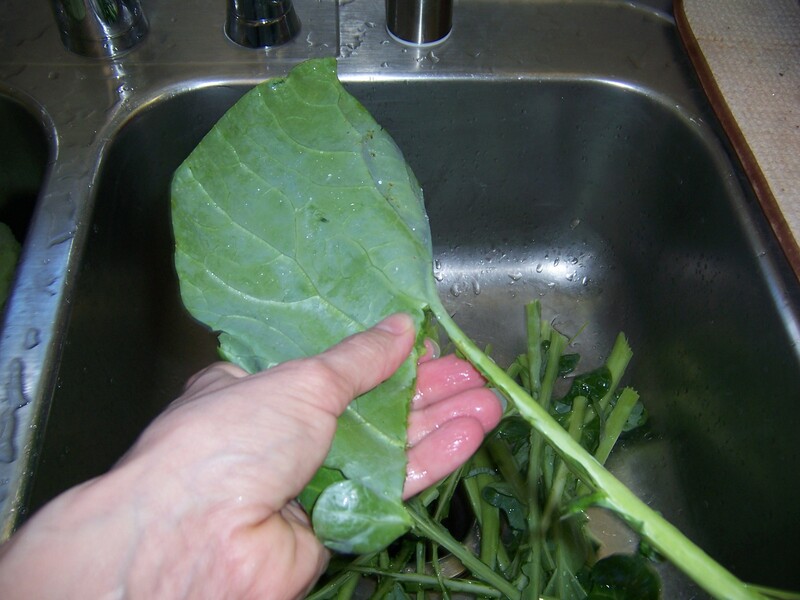 First, go out and pick your collards. You can just snap off the leaves and leave the plant in the ground; it’ll keep producing well into the fall (I have a friend who says he’s harvested collards he had to shake snow off of). Pick a LOT of leaves, because they cook down a lot. I probably got about a peck from my three plants without stripping them. Then you’ll want to give the leaves a good wash, because there WILL be dirt and outriders on them. I filled one of my sinks with cold water and gave the harvest a good soak, then ran each leaf under running water before stripping out the center stem. No, I’m not magically doing this with one hand. I had to let go with the right hand to take the photo. The process goes fast, and in no time you’ll have a pile of stems and another of leaves ready to process. I tossed the stems in the compost bin , then piled the leaves up on a cutting board and chopped them into biggish pieces – about palm-sized, because I like big pieces, but you can cut them as small as you like. Some people cut the leaves up after they’ve blanched them, but to each his/her own. Set a big pot of salted water to boil. Make a place for your blanched greens to dry; I covered a couple of baking sheets with clean dish towels and then placed a layer of paper towels on top of that (to keep the greens from staining them). Have more paper towels ready to lay on top of the processed greens. Bunch’a greens going into the water. Once the water’s at a brisk boil, drop in your greens, a handful at a time, then set a timer for three minutes. 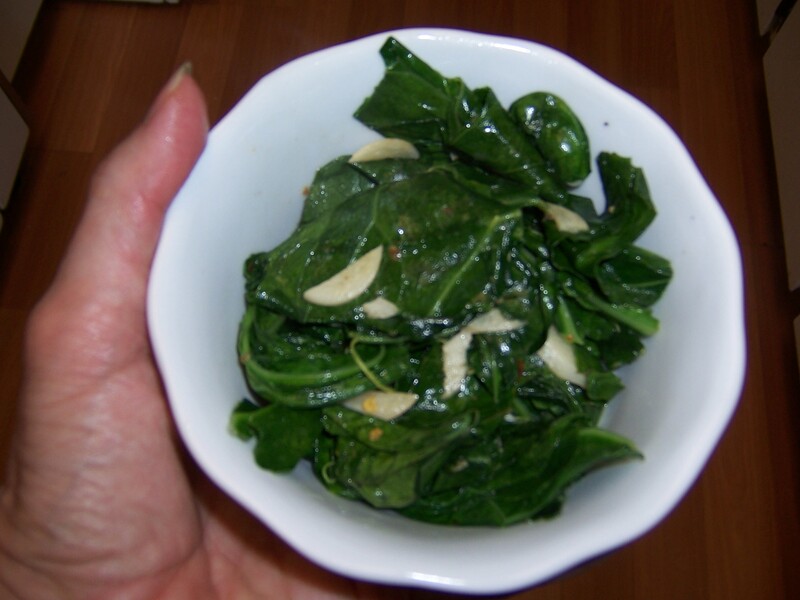 (Other greens take only two minutes, but collards are tougher and need that extra minute.) Once the three minutes are up, take the greens out of the boiling water and spread them on your drying surface. I used tongs for this, along with a flat mesh strainer to catch the smaller bits. Cover the blanched greens with a layer of paper towels and pat them down to blot up the excess moisture. Leave them for a bit so the water will soak into the towels and the leaves will cool down. I let mine sit for about thirty minutes. Once the leaves have cooled and the excess water absorbed into the towels (the leaves won’t be completely dry), put them into freezer bags, press the air out of the bags, seal, label and freeze. 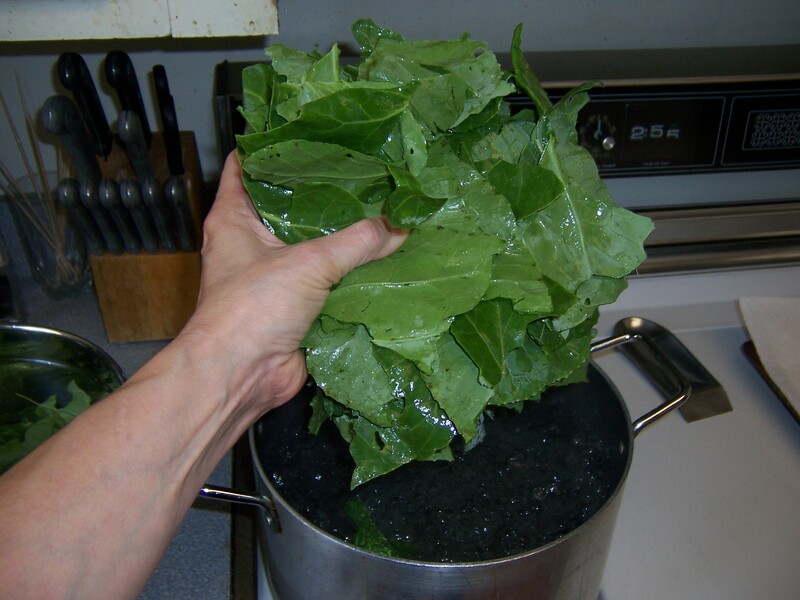 I got four quart-sized bags of blanched collards out of this harvest – enough for several servings, although I’m perfectly capable of eating the entire bag myself. I do love collards. I love them so much that I kept back a handful of fresh greens to cook for a quick snack. I sauteed some garlic and a sprinkle of red pepper flakes in some olive oil, added a little chicken broth and brought it to a simmer, then put in the fresh greens and tossed them in the cooking liquid until they were limp, about four minutes. I put them in a bowl, hit it with a shot of vinegar and then enjoyed a bowlful. Those deer don’t know what they’re missing. 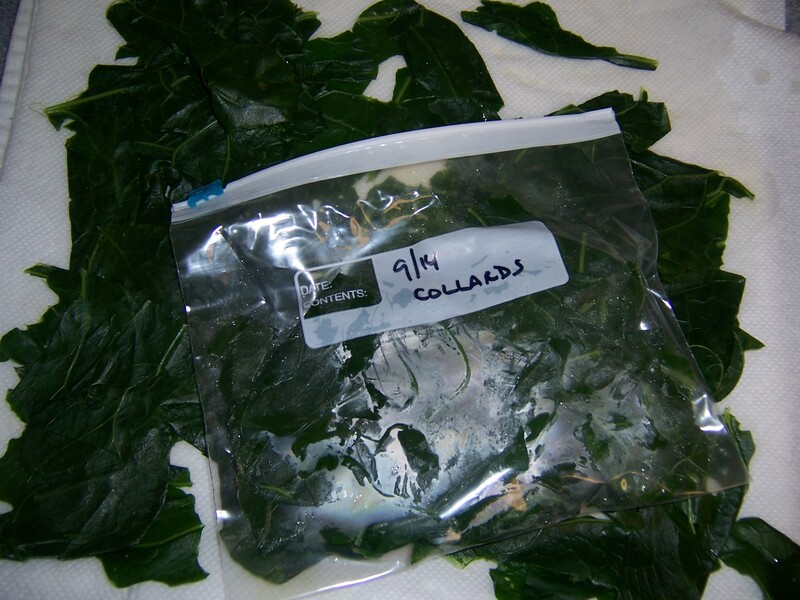 I really liked your post, cos I love collards too and have written a lot about them. Seeing the leaves in one sink and stems in another, it looks like my kitchen, lol. They are good food! Better luck with your garden next year and maybe the deer will have moved on. Thanks! 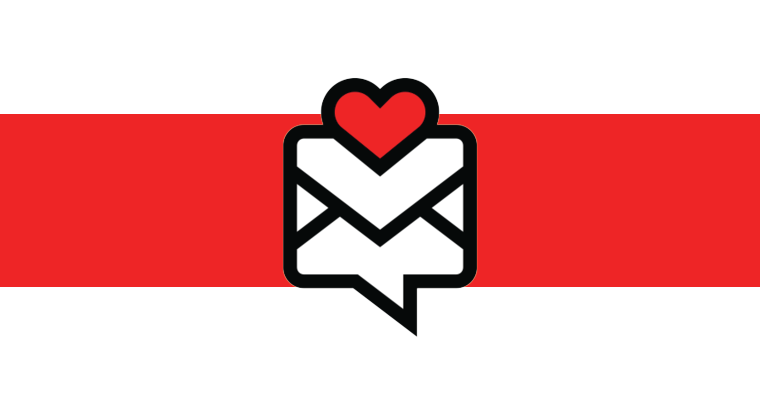 I had a look at your blog, too – gotta love those double sinks! I couldn’t function in the kitchen without my double sink. Convenience in the way the kitchen works is what makes cooking easy and fun.